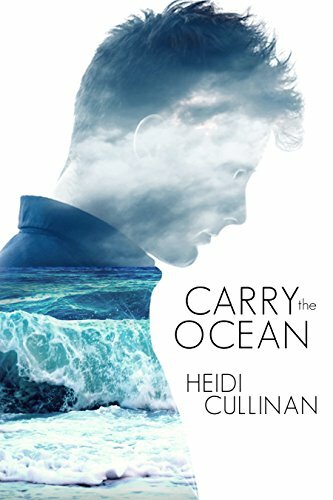 A quadriplegic, an autistic, and a depressive walk into a bar…sounds like the opening line of a joke, but no, it is one of the most heart warming scenes from Carry the Ocean. OMG, this book has compelled me to right an immediate review, to pour my heart out about just how bloody fantastic this book was. Heidi Cullinan bats it out the park with this one, the amount of research she must have undertaken is astonishing and she did such a fantastic job in bringing two illnesses to the forefront in such a manner that it makes the reader truly understand. This is a New Adult M/M, but it is so much more than that, it is one of the best MM romances I have read. I took these characters into my heart and soul, I couldn’t put it down and definitely didn’t want to leave them behind. Emmet Washington is autistic, but he has an amazing support system around him, a great Doctor, a fantastic family and has navigated his illness as best he can. Emmet is super intelligent, high functioning and has his ways and methods of keeping himself close to the mean. Emmet is nineteen years old and is beginning to feel the need for independence, but he is also venturing into the need for love too, the man over the tracks to be precise. Jeremey Samson is the man over the tracks who is clinically depressed and suffers with debilitating anxiety. Jeremey’s parents are the total opposite to Emmet’s and are as unsupportive as they come, in fact, Emmet is an embarrassment to them and their constant “just get over it” attitude only debilitates Jeremey more. Emmet and Jeremey start off as friends and it is this friendship that really captures these characters into your heart and soul. The lengths that these two go to, to understand each other, was heart-warming. Their friendship meant the world to both of them and gave them both the push they needed to break from their parents and begin life as an adult. I had so many laughs as well as tears while reading this book. This was a really heavy subject, but Heidi Cullinan did an amazing job in bringing light, humour and hope to the pages and lives of these two boys. They don’t have it easy, there are trials and tribulations aplenty, there is ignorance and animosity, but on the flip side a lot of love and understanding too. I cannot stress how much I loved this book, from finding friendship to finding their feet, to exploring their love and other things…I dare anyone not to fall in love with these two characters. Being autistic Emmet was direct, well researched and extremely blunt which led to some hilarious scenes; Jeremey’s internal struggles made him the reliant one and Emmet the rock which totally turned what you would expect on its head. But at the end of the day, I loved them, I loved their friendship with David, their penchant for The Blues Brothers, I just freaking loved it all.